ICU joins Unicode Consortium. What does that mean? 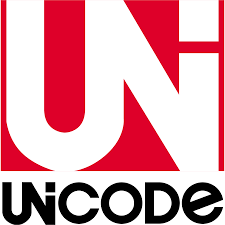 On 18th May, Unicode Consortium announced that ICU joined the Unicode Consortium. What does that mean? it’s not your usual announcement that this or that producer of emojis joined the consortium as a member. What happened here is transfer of governance of the arguably most important open source reference implementation of Unicode and CLDR from IBM to the Unicode Consortium where IBM is one of the full members. ICU consists of two main subprojects, ICU4C and ICU4J, which provide C/C++ and Java libraries respectively. It’s probably the most widely implemented open source stack in the mobile world, but also at the heart of non-mobile operating systems and search engines. Let’s hope that transforming the ICU Project Management Committee into the 4th Unicode Consortium Technical Committee will mean even more open and transparent governance of this extremely important Unicode and CLDR reference implementation project under the Unicode Open Source License. Both the original ICU and the Unicode license — under which ICU is available from now on —were derived from the permissive MIT License. We have seen standards organizations such as W3C and OASIS take ever more interest in the open source toolkits for their standards. For example, OASIS very recently allowed association of GitHub open source projects with its RF and Non-Assertion Committees, yet making the governance structure of a reference implementation to a Technical Committee itself is a unprecedented move. Let’s hope it will be for the greater good of all ICU implementers and (billions) of end users.